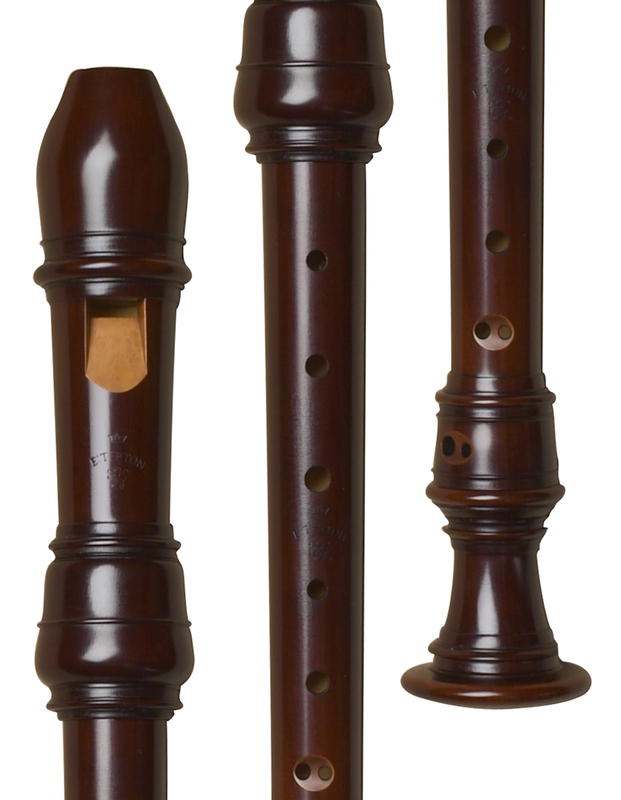 Our Terton soprano recorder follows an early eighteenth-century original in The Hague. 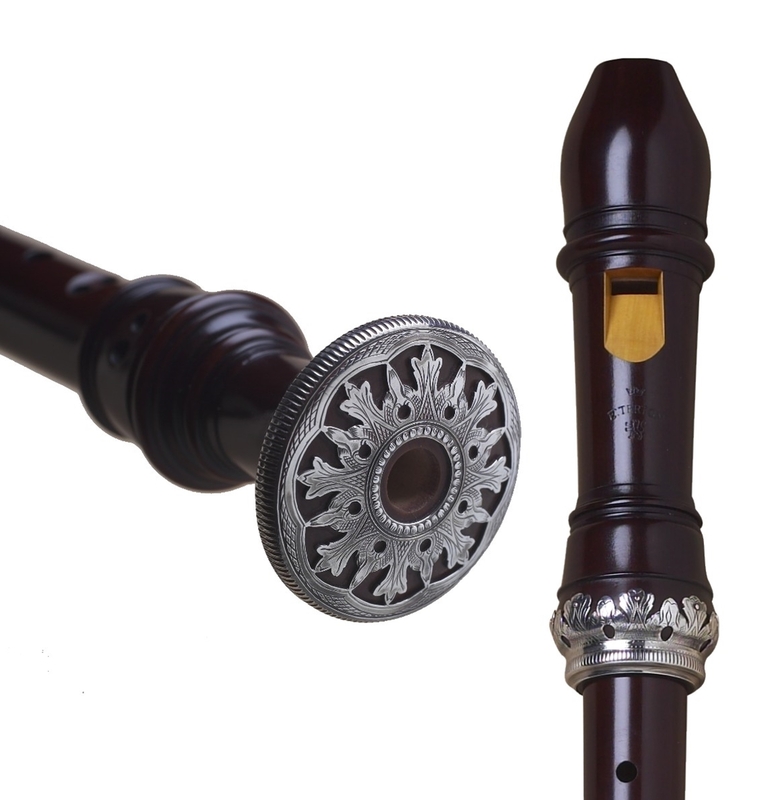 It has long been respected by professionals and serious amateurs who need an a=415 soprano with brilliance and clarity in all registers. 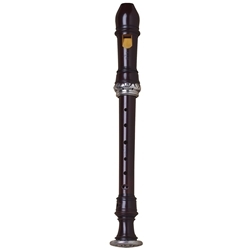 Very few original Terton instruments remain: a few alto recorders, one transverse flute, an oboe, and this superb soprano, made famous by Frans Brueggen's recordings. 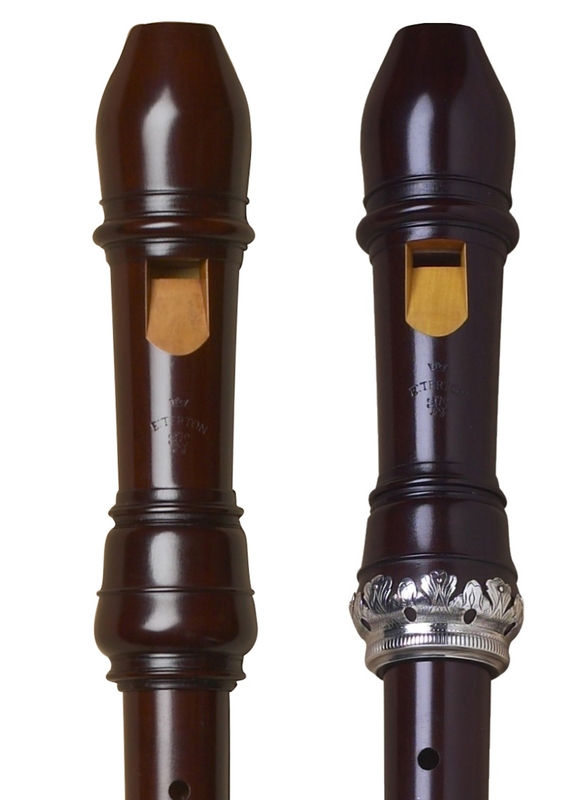 Our instrument is made of boxwood in two pieces, like the original. It can be made with or without the ornate decorative silver rings like those on the original instrument.